As webmaster or owner of copyright you have a number of remedies available to stop plagiarism and copyright infringement of your work. Sending a cease and desist letter to an infringer (as in our sample below) is just one of the options available to you. But before you rush off to send your letter! And if you get no joy even when sending a cease and desist to an infringer, there are other Copyright Forms and guidelines on how to use them, in order to enforce your rights under copyright laws and the internet. 1. I am the owner of the Website http://www.1.mysite.com I am also the owner of the copyright in the material published on the Website. The following is a list of the URL's for my pages or images which have been copied on your site(s). 2. This wholesale misappropriation of my copyright works has not been authorized by me and is an infringement of my exclusive rights as copyright owner. The infringement is also flagrant. 3.2 undertake in writing to desist from using any of my copyrighted work in future without prior written authority from me. * Legal Support at Google and other Search Engines. This is written without prejudice to my rights, all of which are hereby fully and expressly reserved. 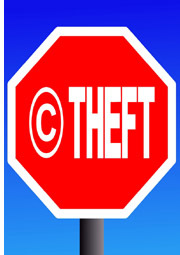 Allowing three business days to respond to your notice of plagiarism and copyright infringement is reasonable. Or you may choose to simultaneously send letters to the other parties without waiting for a response from the infringer.